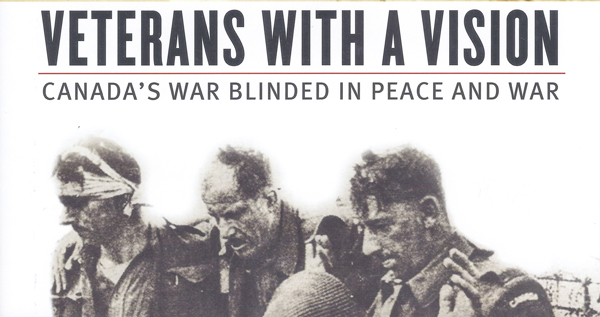 Serge M. Durflinger, Veterans with a Vision: Canada’s War Blinded in Peace and War (Vancouver: University of British Columbia Press, 2010). 428 pages. Popular and scholarly interest in Canada’s Second World War experience often focuses on those servicemen and servicewomen who lost their lives from 1939 to 1945 or how the great battles of that war were won and lost. Comparatively few accounts offer much insight into the experiences of those who were permanently disabled or survived unscathed. Even less is known about the role those returning veterans played in Canada’s emergence as a politically, socially, and economically vibrant country in the postwar period. By deftly intertwining the lives of individuals blinded in combat during both world wars, their impressive organizational initiatives and advocacy, and their interaction with the federal government throughout the twentieth century, Serge Durflinger’s Veterans with a Vision: Canada’s War Blinded in Peace and War offers new and provocative insight and analysis into the subject of veterans’ rehabilitation. Veterans with a Vision is an intriguing micro-history with broad and far-reaching implications for the study of war and society. For instance, the book carefully and thoroughly demonstrates how blinded veterans helped change the stereotypes and perceptions of sighted Canadians toward the blind. Before the First World War blindness carried the stigma of pity and poverty, and deprived one of any respectable social status. However, the war’s massive casualties (mostly among the younger generation of Canadians) and the tireless efforts of the approximately 300 blinded veterans ushered in sweeping cultural and societal changes that were built upon and adapted to accommodate another generation of veterans from the Second World War. Under the careful and energetic management of Edwin Albert Baker (founder of the CNIB) and his British mentor Sir Arthur Pearson, dignity, independence, and compassionate assistance became the hallmarks of successful rehabilitation. In doing so, the tight-knit community of war blinded veterans gained public sympathy, reshaped the attitudes and values of Canadian society, and successfully improved the lot of all blind citizens through initiatives such as the Canadian National Institute for the Blind. In sum, Veterans with a Vision is a must read for historians interested in the social impact of war on Canadian society. It is well written, thoroughly researched, soundly organized, and poignantly relevant as Canada prepares to rehabilitate a new generation of veterans in the post-Afghanistan era.